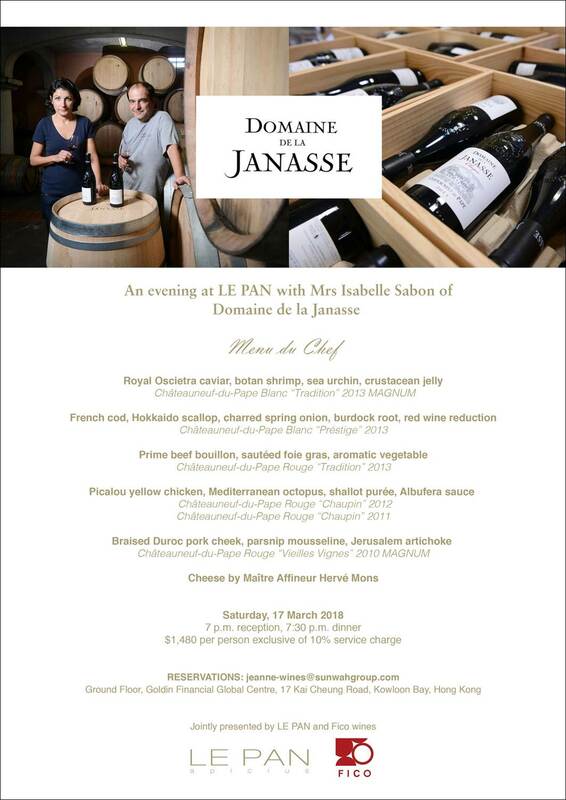 It is our great pleasure to announce our next wine dinner with Mrs Isabelle Sabon, owner of Domaine de la Janasse, one of the top estate in Chateauneuf-du-Pape. Savour an exquisite Domaine de La Janasse wine dinner pairing experience with fine dining Le Pan’s inventive French cuisine. Explore Chateauneuf-du-Pape’s beautiful terroir with back vintage and big format, including the estate’s icon wine Chateauneuf-du-Pape ‘Vieilles Vignes’ from the outstanding vintage 2010 in magnum size. 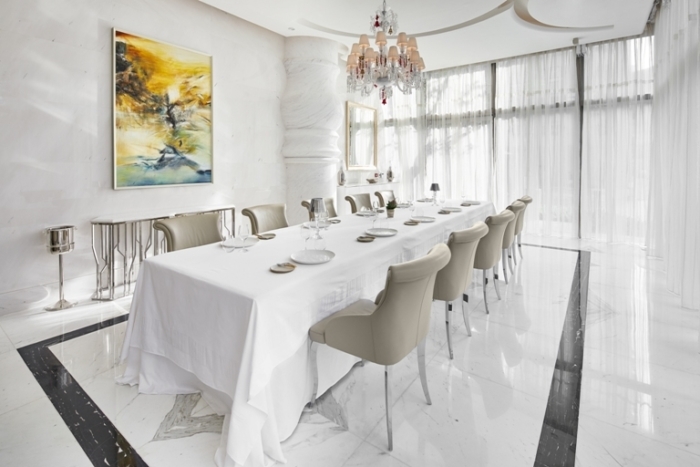 Where ‘Le Pan’ Restaurant – G/F, Goldin Financial Global Centre, 17 Kai Cheung Road, Kowloon Bay. Guest Mrs Isabelle Sabon, owner and winemaker of La Janasse, second generation.